SG Budget Babe: What stock can I invest in that is low risk and high returns? What stock can I invest in that is low risk and high returns? BB, what stock can I invest in that is low risk and high returns? That's one of the most common questions I get from readers and probably one of the most difficult to answer. Everyone has a different interpretation of "low risk" and "high returns", but in my case, the answer to the above question almost always comprise of value stock i.e. stocks that trade at a discount to what they're really worth. Sometimes this comes in the form of properties. 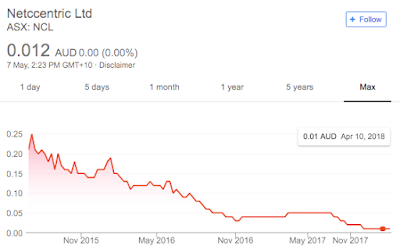 Last month, I shared on my Patreon about a property stock which I found that was trading at a 77% discount to their book value of their cash and properties alone. Their price-to-earnings ratio at my time of purchase was also extremely compelling, at just 3.2X! I did a full analysis and wrote a piece to consolidate my thoughts on the stock, and once I was done, I was in. I couldn't possibly pass on something so cheap! But sometimes cheap stocks can remain cheap for long, or even crash...because they might be a value trap in disguise. So how can you tell the difference, and ensure that you don't fall for a value trap? By getting educated and informed. Education can come in various ways. You can read books (see my list of recommended books here) or go for courses to pick up skills, and then hone them further by practising and reading financial blogs, websites or doing hands-on (such as going in-depth into a stock analysis, attending AGMs, etc). What should I look out for before I buy a stock? Personally, I've read almost every book on that list, attended many courses and workshops, as well as doing hands-on investing in order to get to where I am today. The most useful framework I've found, and eventually adapted to that of my own system, came from the Investment Quadrant workshop run by The Fifth Person. I won't go too much into detail or give away their methodology, but I'll share about some of the constants I always come back to whenever I analyse a stock. One of my primary criteria is to ensure that the company behind the stock is a great one, and I do this by assessing their business model, their competitive advantage, their economic moat, and the market that they serve. If the company is facing structural headwinds or the entire industry is being disrupted and they're slow to keep up, I generally stay away from such a stock (that's a hint!). Of course, I try to stick to things that I understand as well. For instance, I learnt through experience that I really just don't understand the O&G industry enough, so I try not to go there unless there's a compelling reason (such as if there's a huge discount for the stock). Some people refer to this as sticking to one's circle of competence, but I just call it common sense lah. Not familiar, just stay away lor. There's a whole bunch of other stocks out there for you to choose from! 2. Can I trust the management team? I've seen poor management screw up companies, and great management turn struggling companies around. One way of assessing management quality includes studying the past decisions that they've made for the company, but on top of that, I tend to read the Chairman Statement on their annual report as well and compare it over the years. However, just watch out for PR fluff, as a lot of them might just be all talk but no action. 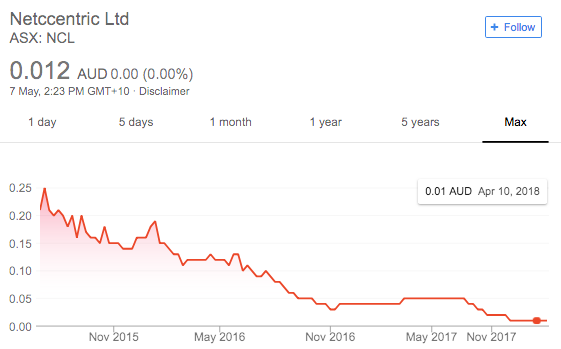 One example of a stock that I feel its management truly screwed up on is Netccentric (ASX:NCL), which IPO-ed in July 2015. You might not have heard of them, but surely you've heard of Nuffnang, the company which manages some of Singapore's top influencers like Xiaxue. Its stock has crashed 94% since its IPO price of $0.20, and it suffered from internal management disputes (the original founders fell out, board calls for shareholders to dump founder, former CEO sues co-founder). In fact, earlier this year I was flabbergasted when CEO Desmond Kiu announced their decision to shut down their micro-blogging app Dayre, which I personally saw was a poor business move. Their fundraising attempts yielded just $700+, whereas I raised the $150,000 that they claimed was needed to run the app for a year...all within just 3 days. I won't go too much into the saga, but you can read about my efforts to #saveDayre here and getting investors for a successful buy-out of the app. Another common red flag I look out for is how much management is paying themselves. If they're giving themselves exorbitant salaries, then I'm out. I generally don't like management teams who treat their company like their own personal ATM. 3.Quantitative Analysis - what do the financial statements say? Even if the company has a fantastic business model, they might not always be earning profit. Loss-making companies are a big NO for me whenever I look for a value stock. I also study their income statement, the balance sheet and the cash flow statement, as well as run various calculations to see if the company is in good financial standing. For someone who wasn't trained in math or finance, this used to take me days to complete, but over time I've become much faster at it with practice. If you're just starting out and are unsure of what to look at, I highly recommend this course where they teach you what to zoom into within the financial statements, lest you get lost by all the numbers! This is the most important part, and the one which always excites me the most. Here, I'll be looking at whether the stock is trading at a discount, and whether that margin of safety is good enough for me to enter. I'll use DBS as an example, which I bought in early 2016 as a value stock because its discount was too good to resist. This has now blossomed to become one of my best-performing stocks in 2018, and now that CEO Piyush Gupta has announced its latest dividend payout, that translates to a forward yield of 8% for me given my original buy price. Majority of the stocks I buy are stuff on a discount. If it isn't trading at a discount, I'm happy to wait. If you're new to investing and am unsure on what type of valuations to use, do note that the suitability of metrics will differ based on the type of stock you're analysing! Thus, if you're really clueless and would like to simply get a framework to start, I highly recommend following the step-by-step process (including the flowcharts and checklists) taught in the Investment Quadrant. I shared here last year that I had paid for and signed up for The Investment Quadrant to hone my skills further, and I loved it so much that I'm back here again to recommend it to all of you this year. If you're new to investing, you're gonna love all the checklists, step-by-step framework and the entire system that you can follow easily in order to get started. 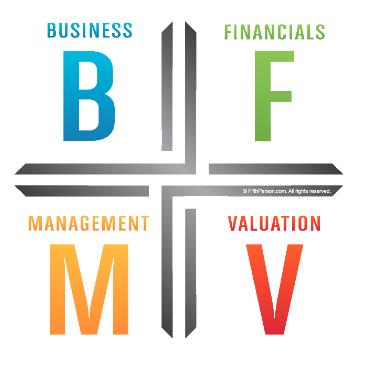 They're so comprehensive that you'll be able to start analysing and searching / buying for your first value stock the moment you're done with the course! If you've prior investing experience but have never been to this workshop, I highly recommend that you give this a shot because (i) it will challenge what you thought you knew about value investing and (ii) you get to pick the brains of investing experts Rusmin and Victor. They've done so well in their own investing journey thus far that they've managed to use this same formula to turn around a loss-making portfolio to $2 million in profits within just 2 years, with individual stocks yielding 50% to 300% returns! The best part is that beyond just a one-time course, I also get all their future updates they make to their course content. I paid for their Dividend Machines course in 2015, Investment Quadrant in 2016, and have been enjoying that benefit since. Honestly it is ridiculous that they're even offering a money-back guarantee on this. I wish the one my mom signed up for had that (it didn't), so we could have asked for a refund on hers! In addition, if you're a reader, let me know after you've attended the course through my blog (just drop me an email with your course confirmation afterward) so I can send you a reader freebie - a full stock write-up on one of my value stock purchases recently so you'll be able to see the IQ methodology in action (together with some of my own metrics) and find out one of my favourite stocks in my portfolio which has never been mentioned on this blog before!